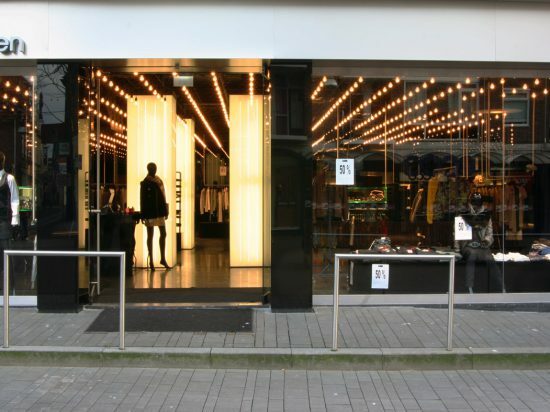 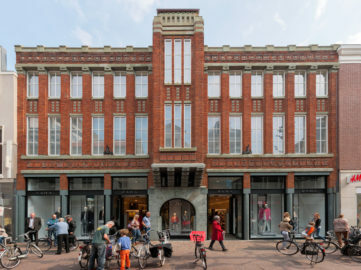 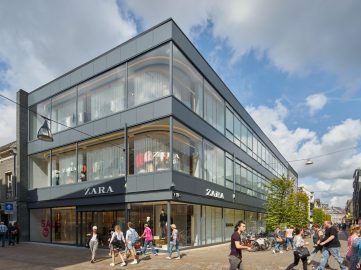 For clothing shop ‘Stef Modewereld’ in Enschede, B+O Architects has created a special atmosphere while paying great attention to detail. 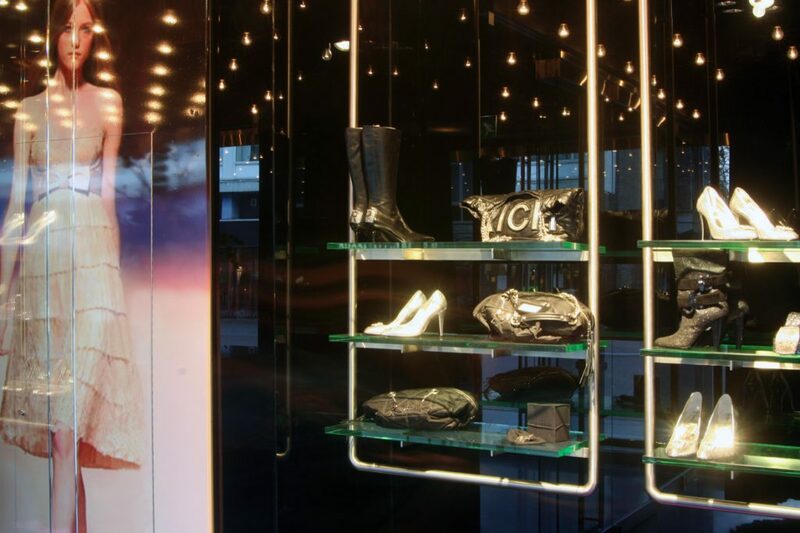 The glossy, reflective wall surfaces allow the store to appear larger than it is in reality. 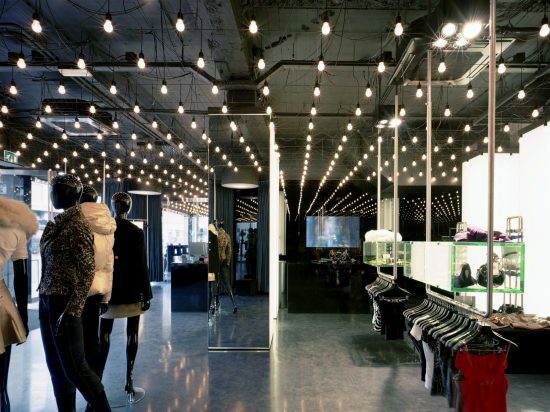 Additionally, there are innumerable lights installed in the ceiling that can be switched off when fitting rooms are not in use. 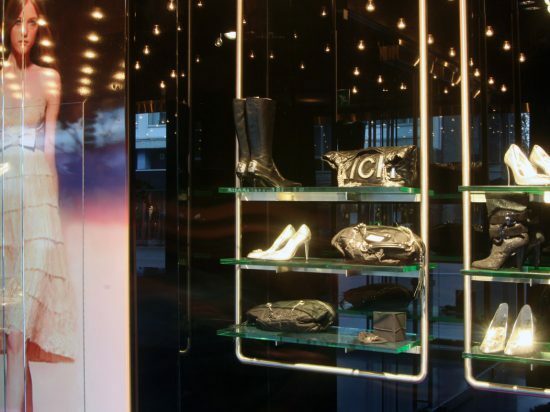 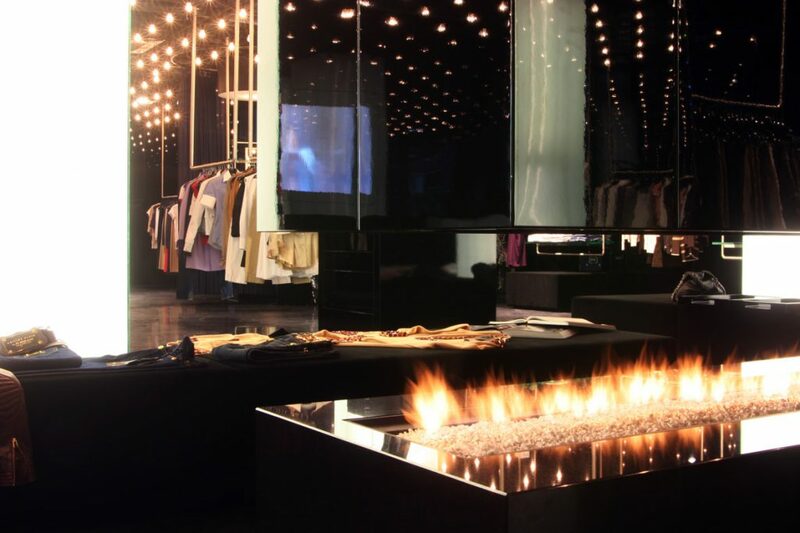 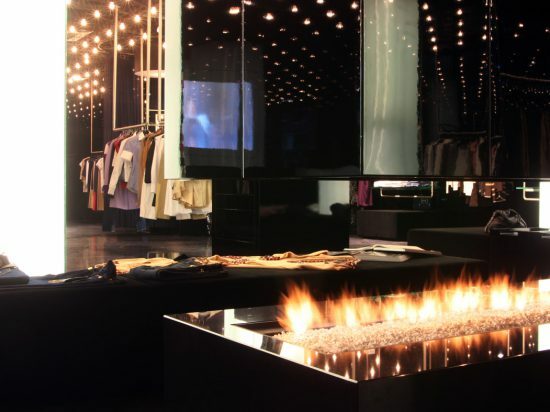 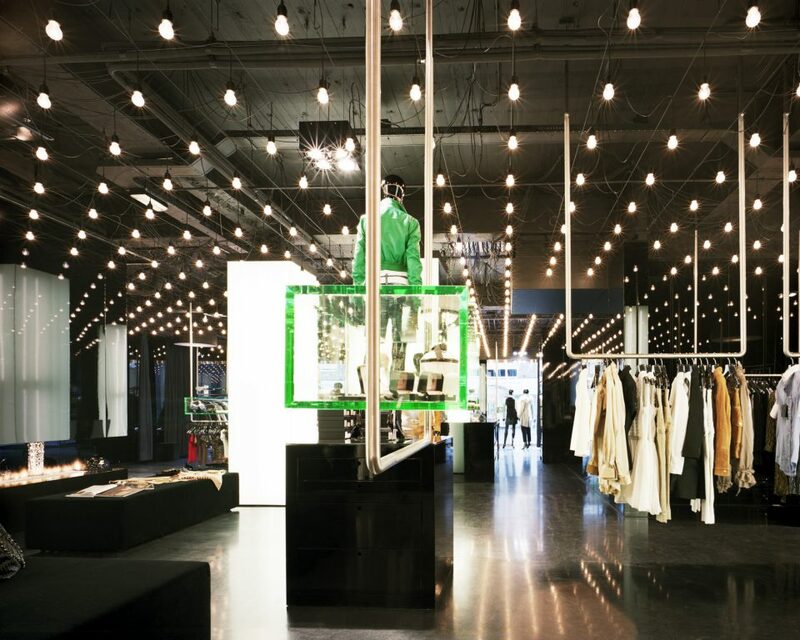 This design allows the customers to lose themselves astray in the shop and discover new clothing and accessories. After shopping, they can relax in the integrated café. 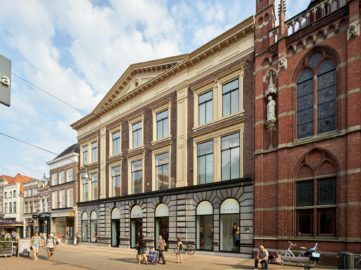 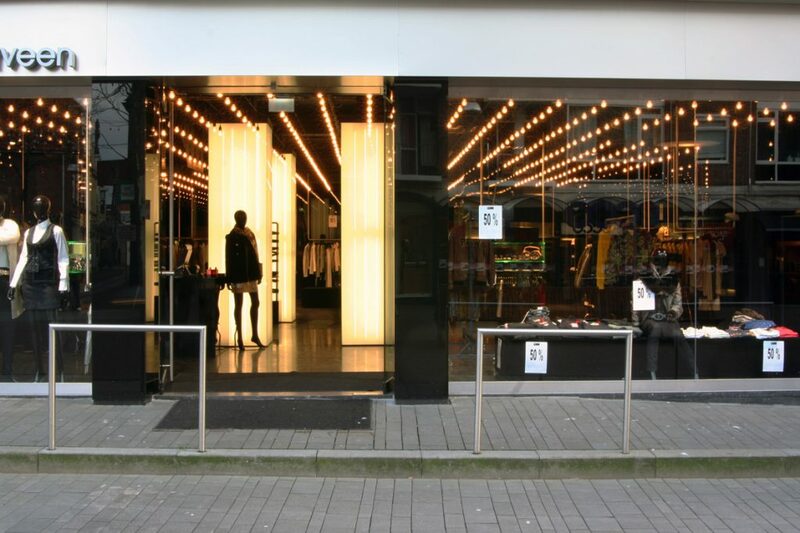 With ‘Stef by Robert Nederveen’, Enschede has gotten a unique, new shop.